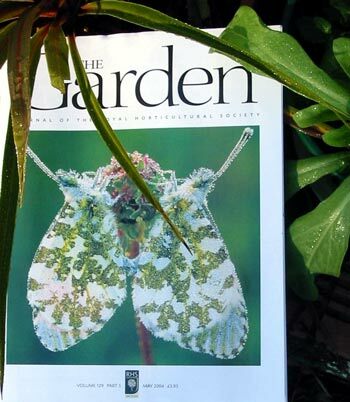 The Garden is the journal of the Royal Horticultural Society in Britain. Through it RHS members can find out what's on and which gardens are open to visit, as well as getting a great gardening read. It's an informative magazine with a delightful feeling for nature and the preservation of natural treasures. I even enjoy reading the garden advertisements - seeing new varieties of plants and seeds (which I can't order), gazing at the plethora of glass-houses and conservatories for sale, and clucking at the cost of the beautiful outdoor furniture. Of course there are many big gardening events such as the Chelsea Flower Show which British gardeners can visit, and RHS display gardens like Wisley where they can get further inspiration. This magazine will become a firm favourite - I like the faintly academic style of some articles, too. It's definitely a magazine for the thinking gardener.